Its a beautiful summer afternoon. We’ve just driven through a torrential downpour and arrived at Harper Creek. You can still detect that fresh earthy smell after a storm. We’ve come down to pay a visit to two of the most recent development projects in the watershed. As we pull off the road we can already see the significant changes that have taken place on the site of the future casino. The developer of the site has gone to great lengths to backfill the site with soil. 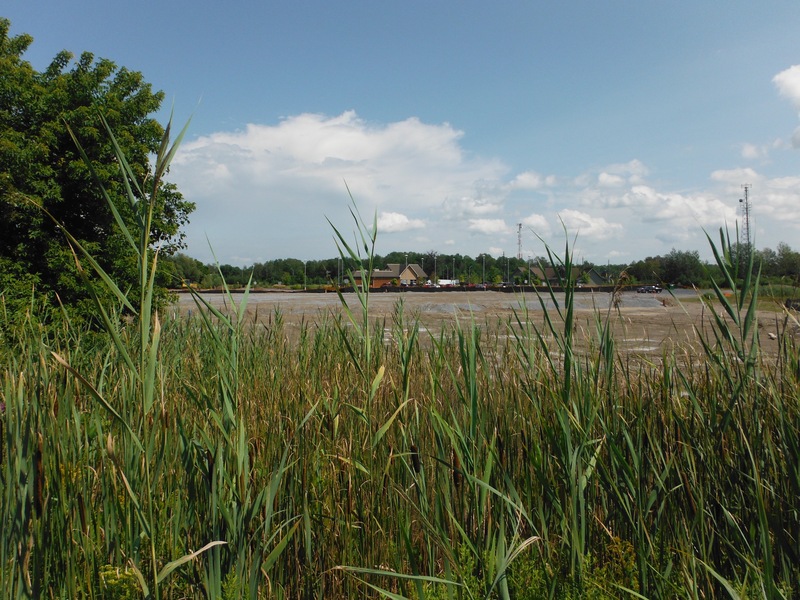 Nearly a meter and a half of material has been deposited on top of the former wetland. Looking in areas where fill has not been placed, it is apparent why such great effort to fill the site has taken place. 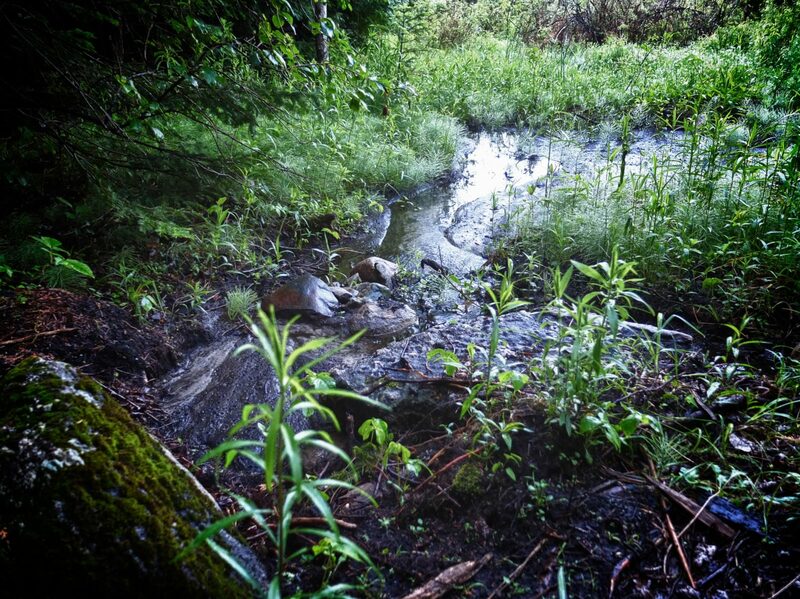 Patches of water, mud and aquatic plants permeate the site, signaling water at the surface of the soil, or just below. Years of degradation have still not managed to beat back the inexorable march of the wetland, although this appears to be a valiant effort on the part of the developer. Our attention is quickly drawn to a site where wood chips were formerly stored in large piles. In their place a large pond has formed and what a site to behold. It seems that within days a multitude of creatures have decided to now call this place home. 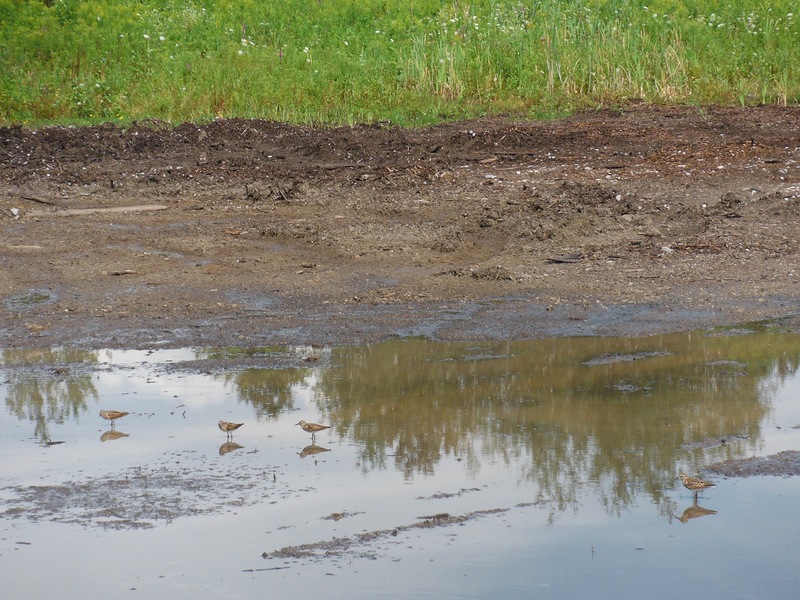 As we approach, a mother and her six young killdeer take flight and give us one of the most beautiful acrobatic displays as they flutter and skim across the top of the pond. This was an acrobatic show on par with the best that the snow birds have to offer. The killdeer were not the only creatures skimming around this pond. As we stood there I counted 6 different dragonfly species fluttering through the reeds. I have not seen so many dragonfly species confined to such a small area for a long time. As we begin to leave the site, I see some motion in the large tracks left by machinery traveling through the site. As I approach, a multitude of frogs leap from the muddy piles into the ponds of water left by the rain.